If Ben Cherington’s been reading this blog, it’s not too closely. While Victorino was a suggested target, the recommended contract length was one year, not three. But instead the Red Sox have bought themselves a new right fielder for almost the exact contract that Mike Napoli got. The early reactions to the deal are, to put it kindly, not positive. Man, if I thought Victorino was getting 3/39, I may have talked about him in my column this morning! I saw Bill James here yesterday. I was in line behind him for coffee. I KNOW he's here. Yet the Red Sox still signed Shane Victorino. An NL exec on the Shane Victorino contract: "They all surprise us. But that one shocked us." Shane Victorino’s three-year, $39 million contract with the Boston Red Sox vaults to the top of the rankings of the worst contracts signed so far this offseason, giving him virtually the same total dollars that Angel Pagan — a superior player — will receive in a contract that’s a year longer. The Sox have now squandered a substantial amount of the payroll flexibility they obtained over the summer when they traded Adrian Gonzalez to the Los Angeles Dodgers just to rid themselves of two awful contracts, yet they have little to show for their recent spending spree. Well, why don’t you tell us what you really think, Keith. And while his concerns regarding the “squandered” financial flexibility are probably overblown – Alex Speier for one believes the club has “plenty” remaining – it’s difficult to argue the point that Victorino is, in fact, a platoon player at this point. Career, he’s an .881 player against left handed pitchers, .727 versus right handers. The recent numbers are even worse: 2010-2012, Victorino put up a .701. And while it’s true that there are a lot of left handed starters in the American League East these days, that’s not a good number for an outfielder, and it’s downright poor for a right fielder. Fangraphs’ Eno Sarris writes that, adjusting for the positional switch, Victorino becomes a two and a half win player instead of a three and a half win player. Meaning he’d be worth about $27M over three years, which in turn implies that the Red Sox overpaid him by $12M. Which is one reason rumors are beginning to circulate that this is merely a prelude to a trade of Ellsbury: Victorino’s bat is slightly less of a liability in center than it is in right. Still, I’m a bit surprised at the depth of some of the criticism. For one thing, a $12M overpay means the annual penalty for Victorino’s contract is $4M per year, which is absorbable for the Red Sox. It might not even be that much, in fact. Torii Hunter, who is admittedly a better player than Victorino but five years older, is making the same annual salary. The Cleveland Indians, meanwhile, were reportedly willing to go to four years, albeit at the slightly discounted rate of $11M. As Peter Abraham put it, the market is the market. It’s also interesting that even statistically minded analysts like Law are so profoundly negative on the deal, given his value on the basepaths and in the field. 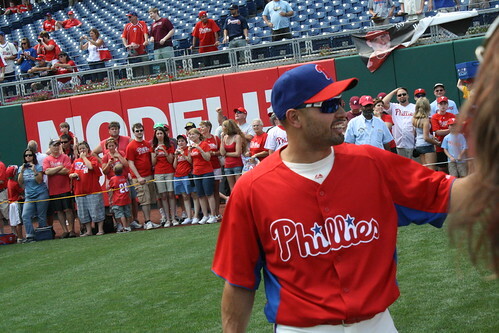 Since Victorino became a regular in 2006, he’s been worth 3.88 wins a season per Fangraphs. More interesting, he’s been worth on average $16.7M per season by their math over that span, and apart from his rookie year has never been worth less than the $13M he’ll be getting for the next three years. In other words, Victorino has been a valuable player in spite of the platoon splits. Much of his value comes from his defense, where he grades generally as well above average, but he adds value on the bases as well. He’s stolen 34 or more bases four out of the last six years, with 39 coming last season. Even acknowledging that his move to right field and the fact that he’s entering his decline years are likely to negatively impact his value, characterizing this deal as “doomed” seems slightly hyperbolic. The dollars involved in this deal are not ideal, clearly. But unlike Swisher, the Red Sox do not have to sacrifice a draft pick, and more importantly the $1M allocation for that pick, to sign Victorino. And while it seems like a clear overpay, the contract is a rounding error next to what we unloaded on the Dodgers. If we’re talking about platoon players and doomed contracts, then, compare the newly signed Victorino to the recently traded Crawford. Victorino’s R/L career splits, remember are .881/.727. Carl Crawford’s are .810/.688. Victorino’s going to get $39M over three years; Crawford’s owed $102.5M over the next five. Crawford’s terrible contract doesn’t mean Victorino’s is good, of course. 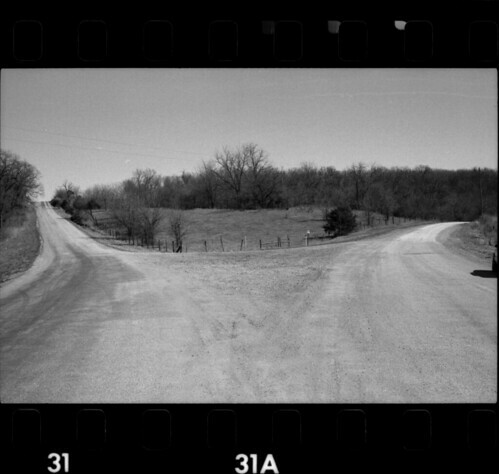 But it does provide some context: if both are mistakes, the choice between them is clear. Even if Victorino is in fact a platoon player, and of lower value in right field than center, he still has value in other areas of the game. He’s signed for high dollars, but not prohibitively high, and provides an insurance policy in the event that Ellsbury is hurt or traded, as well as a hedge in the event that Bradley’s not ready to take over when Ellsbury leaves. It’s not a great contract, but neither is it the disaster it’s being made out to be. For obvious reasons, most of the offseason Red Sox chatter has focused on free agents. From Mike Napoli to Zach Greinke, the allure of the shiny baubles on the open market has proven too much to ignore. Which is expected, but misguided. As the front office has said on more than one occasion, the best improvement the 2013 club can make it by getting more out of their existing roster. When Cherington says that, he is primarily talking about pitchers like Buchholz or Lester who substantially underperformed expectations last season. But it will be nearly as important to extract value from further down the roster; one of the real failings of the Red Sox front office the past few years has been in our depth, or lackthereof. On that note, here’s a look at two players who are criminally underdiscussed this offseason. For better, and we hope not, for worse. Rubby de la Rosa blew up as a prospect before blowing out entirely back in 2011, but he’s back from Tommy John surgery and, by 2013, should be able to pick up where he left off when his elbow snapped. He has touched 100 mph as a starter and sits comfortably in the mid-to-upper 90s, offsetting it with an above-average changeup with good fading action in the mid-80s, and, before the surgery, could throw both pitches for strikes. His slider is hard but really short, 82-86, but it doesn’t have a lot of tilt to it because he tends to get on top of the pitch, often coming out higher than he does on his fastball; his curveball, a pitch he seldom throws, is in the mid-70s, breaking down but without tight rotation. Even an average slider would give him No. 1 or No. 2 starter potential, and I think he can get there if he can release it from a slightly lower spot, closer to where he releases the fastball. It’s a huge arm in any role, and, as long as he’s healthy, he should be able to start. In spite of the glowing reviews, however, de la Rosa’s name is rarely if ever mentioned as a realistic rotation candidate this season. Career, de la Rosa’s struck out 8.8 per nine, a good if not overwhelming number, although he’s walked too many over that same span (4.84). In 2010 with the Dodgers Single A affiliate, he struck out 55 in 59.1 IP; in 2011 with the Dodgers, it was 60 in 60.2 IP. He’s not yet 24, he’s demonstrated the ability to miss bats, he shows no major platoon splits (< .100 OPS difference L vs R), he maintains his velocity, and with the player a full season removed from Tommy John surgery, de la Rosa should at least be in the conversation for a back end starting role, his control issues notwithstanding. As much as it’s a surprise that de la Rosa’s abilities remain off the radar, the lack of concern about Middlebrooks’ plate discipline is even more perplexing. People seem to be taking it for granted, on the basis of a few hundred at bats, that Middlebrooks is a middle of the lineup fixture for years to come. The problem is that the data is much less conclusive on that subject. Granted, he tore up the minors last year (.333/.380/.677), and his partial season line (.288/.325/.509) in the majors is respectable if light on on base percentage. But after a hot start Middlebrooks cooled off significantly before breaking his wrist. The wrist injury is itself enough cause enough for concern, as such injuries tend to depress power for a season or more. But his performance prior to the injury is also problematic. Here’s his OPS by month: May (.922), June (.836), July (.785) and August (.673). His numbers also benefitted from a slightly elevated BABIP (.335). Worse, his contact issues point to a real potential problem. 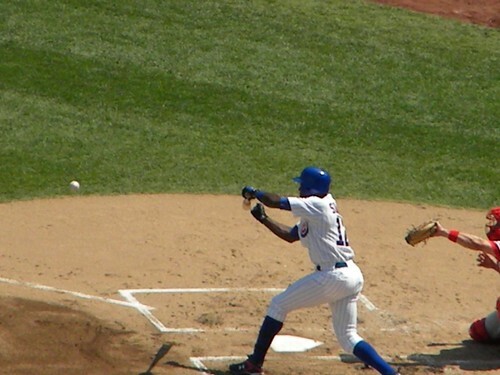 In general, plate discipline is regarded as being a good predictor of future performance, and indeed is core input to many projection systems. It should come as no surprise, then, that ZIPS’ preliminary projected numbers for Middlebrooks are not promising: .255/.292/.434. For context, the average third baseman last season put up a .267/.328/.426 line. ZIPS predicts, in other words, that Middlebrooks will be a below average third baseman next season. Best case for the Red Sox is that Middlebrooks’ power and plate coverage buys him time to improve his pitch recognition skills, and that his above average slugging percentage offsets his on base percentage. But it’s worth noting that the players that Cherington has pursued this offseason, even while shopping in the bargain aisle, have had reasonable on base skills. It’s an acknowledgement that OBP was, for the first time in years, a weakness for the Sox, one that needed to be remedied. It may also be an acknowledgment that while Middlebrooks will be the team’s third baseman next season, he may be more likely to be part of the problem in that regard than the solution. When Ben Cherington pulled the trigger on the deal sending Adrian Gonzalez, Carl Crawford, Josh Beckett and Nick Punto to the Dodgers, it was in effect a commitment to at least a partial teardown and rebuilding effort. As has been much discussed, it left the club a substantial amount of available payroll in a market short on attractive free agent options. Many, myself included, have offered Cherington recommendations for re-allocating that capital, with the options ranging from tactical to strategic to absurd. Given the seller’s market in free agency, it’s logical that many general managers turn to trade as a more efficient means of obtaining talent. Certainly this is the approach that Alex Anthopoulos took in Toronto, where in a trade with Miami he obtained a frontline starter, backend starter and starting shortstop at a bearable cost both in terms of talent traded and salaries assumed. Trade to get Alfonso Soriano’s next two seasons and the last year that Matt Garza is under club control, sending Chicago a package of Kalish, Saltalamacchia and minor-league prospects Alex Wilson and Matt Barnes. On a superficial level, this trade makes some sense. Barnes is at least a year, more likely two, from impacting the roster. The addition of Ross makes Saltalamacchia redundant. Wilson has potential but is far from a dominant prospect, and Kalish’s star has fallen in the wake of shoulder and neck issues, respectively. In return for these assets, the Red Sox would address their left field vacancy for two years and their mid-rotation starter need for one. That Soriano is closer to the 4 win player he was last year than the 1.5 win player he was the year before or the zero win player he was two years before that. That Matt Garza is healthy (he was just given leave to begin preparing for spring training a week ago) and closer to the 5 win player he was two seasons ago than the 1.4 wins he averaged the years before and after. That the Red Sox are a borderline playoff team next season. Initial projections see Soriano putting up a .770 OPS for the Cubs next year (or, about forty points shy of Cody Ross’ production last season), with Garza throwing around 150 innings with a sub 4.0 ERA – all in the NL Central. Adjusting for the AL East, both numbers would unquestionably represent well above replacement player value, but well shy of elite or even All Star levels of performance. If we assume for the sake of argument that Garza and Soriano both skew towards the higher end of their projections, however, the last assumption is the real problem for this proposed transaction. Whatever one thinks of the potential of Barnes, Kalish or Wilson, the fact is that each has a chance to be a contributor to a major league club. And more importantly, each represents multiple years of low cost service time in those roles. Player and prospect value, of course, is contextual. The marginal value of wins added increases the closer the roster as a whole is the playoffs, which is important in considering Kahrl’s trade proposal. The immediate impact of the transaction would be a net upgrade of a few wins in 2013, but the value would drop – potentially precipitously, depending on Soriano’s readjustment to the AL East – thereafter, as Garza is a free agent after the upcoming season. To make this deal, therefore, Cherington would have to be convinced that the sacrifice of the years of potential service time from the prospects would be offset by the benefit to the club next season alone. Which, given the other holes on the roster, would seem to be a difficult case to make. In discussing his offseason plans, Cherington has been careful to emphasize the need to build for the present without jeopardizing the future; Kahrl’s proposal may satisfy the former, but certainly not the latter. The Red Sox would also be selling low on Kalish, whose minor league line (.279/.366/.429) is competitive with Josh Reddick’s (.278/.332/.500). It could be argued as well that the Red Sox would be undervaluing Jarrod Saltalamacchia. His .742 OPS in spite of the 25 home runs underscores just how problematic his on base skills are, but in a league in which the average major league backstop put up a .718, Salty’s a two win player. Or roughly twice as valuable as Garza was last year in an injury marred campaign. Ultimately, prospects are assets, to be used to better the club – whether that’s playing for them or bringing assets in who will. But in general, when multiple years of service time are being traded, it’s important to get either an elite performer or multiple years of service in return. This deal would accomplish neither goal. Exceptions to this approach can, and arguably should, be made when the existing roster is championship caliber, and the marginal value of a few added wins is great. But having gutted the roster in August, such is not the case for the Red Sox. Hopefully, Cherington – in spite of being from Amherst – will recognize this and avoid it or similar transactions this offseason. In many respects, this is baseball’s real silly season. Every club has “interest” in every potential free agent, but unlike at the trading deadline, clubs lack hard data on the strengths and weaknesses of their roster. And so the market is long on rumor and short on actual facts. Yesterday’s David Ross signing is actually a good example of this: admidst all of the media speculation on how the Red Sox would fill their holes in the rotation, outfield, first or short, the club signed a third catcher. Projection, then, seems a pointless exercise. Instead the focus here is on acquisitions and signings that would fit the twin goals of making the roster more competitive and being disciplined in their approach to the market. Here’s what I would do this offseason. Two seasons ago, Stephen Drew was a 5 win player for the Diamondbacks. An excellent fielding shortstop that hit 15 home runs and got on base 35% of the time, he was the definition of an asset. In between then and now, he suffered a catastrophic injury, came back too slowly for Arizona and played like a shell of his former self – a .2 win player. Presumably, Drew would prefer to be paid like a 5 win player rather than a .2 win player. The way to do that is a so-called pillow contract: a one year, reasonable money deal that allows a player to rebuild his value and re-enter the market on his own terms. What he needs is a club that needs a major league shortstop, even one with some injury questions, for a single season. Which is the Red Sox. One of the more baffling narratives this offseason has been whether or not Iglesias is ready to assume the starting shortstop role offensively. He is not. There is no evidence to suggest that Iglesias could be even below average for a shortstop in the major leagues at present. As much as everyone wants to watch him play the position defensively, the club cannot afford an automatic out in the lineup. And while we have other interesting shortstop prospects – Bogaerts, if he can stay at the position, Marrero, and so on – they are at least a season away. Signing Drew would give the Red Sox another season’s worth of at bats for Iglesias, as well as additional time to see what they have in Bogaerts, Marrero. Not to mention a season’s worth of production from a player who is strongly incented to produce and another season removed from the original injury. Napoli reportedly wants to remain at catcher, which is logical because his market value is higher if he can credibly claim to be an option at the position. But the question that the Red Sox should be asking his representatives is whether that assumption is in fact true. Napoli’s calling card is now and always has been his offense. As a catcher, his defensive ratings have ranged from barely average to very poor. And as a larger player on the wrong side of thirty, it’s almost certainly true that his continued work at catcher is depressing his offense. If the Red Sox were to move Saltalamacchia, they could approach Napoli with the following: the opportunity to primarily man first base, but to periodically work in with Lavarnway and Ross to keep their innings manageable. And should Lavarnway fail to produce in his third major league trial, to catch even more. Averaging out his last four seasons, including 2012’s down year and 2011’s explosion, Napoli’s been worth $14.55M per season according to Fangraphs. If the Sox approached him with a two year deal at close to that annually – say a twin of Ortiz’ 2/$26M – he’d have to consider it. He might get a longer deal elsewhere, but he’s probably not going to get more per year. Setting aside the question of what Napoli might ultimately require financially, there’s the question of whether it’s worth signing him in the first place. Napoli’s 2011 campaign – .320/.414/.631 – has been revealed to be an outlier, and he gave up ground in average, OBP and SLG last year at .227/.343/.469. But given that the average major league first baseman, let alone catcher, put up a .257/.330/.436, Napoli remained well above average offensively even in a down, injury marred year. And while it’s possible to go overboard with his splits, over the 73 at bats he’s had at Fenway, he’s put up a .306/.397/.710 line. I joked at one point that we should pay Napoli not just to play for us but to stop playing against us, and in truth I was only partially joking. Just for fun, too, it’s worth noting that Napoli’s even better at the new Yankee Stadium: .375/.531/.625. Napoli comes with questions: age, injury and his willingness to fill the role we need. But I think the first two are overplayed, and the last is a solvable problem with the right offer. No player this offseason has lost more value than Dan Haren. When the Angels failed to complete the transaction with the Cubs for Marmol, the obvious if as yet unconfirmed conclusion was that Haren’s medicals blew up the trade. The Angels ended up dumping him for no return, and it’s not as if they have a rotation surplus. As Keith Law notes, Haren wouldn’t be the first pitcher to lose his career to back problems. It’s possible, of course, that Haren is done. But if he’s damaged goods, it should on some level be apparent in his numbers. The logical manifestation of a chronic injury like a back would probably be decline; as the damage accumulates and the pain worsens, his numbers should suffer as a result. Except that’s not what we see. Here is his OPS allowed by month from April/March through September/October: .716, .672, 1.018, .855, .763, .697. His strikeout to walk ratio, same period: 6.0, 4.0, 2.11, 2.00, 3.2, 6.2. What those numbers seem to indicate here is a pitcher who was injured and then recovered to pitch effectively. On a long deal, the risk here would be entirely unacceptable. But given the collapse in Haren’s market value in the wake of the failed Cubs transaction, it seems at least possible that he would be open to a higher dollar, single season pillow contract similar to the one Drew is undoubtedly seeking. And if he was signed and did break down in mid-season, it’s possible that De La Rosa or one of the other minor league arms would be ready to step in by that point. This might be a stretch, as Victorino is likely to field at least one if not multiple multiple year offers. But the question he’ll have to ask himself: at what average annual value? Your 31st year is not the ideal time to post a career worst OPS, particularly if you’re seeking a new contract. But that’s exactly what Victorino did, seeing his OPS drop by nearly 150 points between 2011 and 2012. His track record will earn him multi-year offers, but they will presumably price in a discount based on the down year. It doesn’t seem impossible, therefore, that the Red Sox could offer Victorino a higher annual salary for a single season, offering him the chance to rebuild his value in a major market then seek one last big free agent contract next offseason. He’d be worth having if he could be convinced. Even in a down year offensively, Victorino was nearly a three and a half win player thanks to his contributions in the outfield and on the bases. His ability to play center would be of value, thanks to Ellsbury’s difficulty in staying on the field the past few seasons. If the Red Sox could complete these moves, this is what the roster would look like come spring training next year. To my eyes, that is a respectable roster. And while it assumes that Saltalamacchia is moved, it does not factor in a return. The offense has the potential to get on base and score runs, and the pitching – assuming a regression to the mean for Lester and Buchholz, at least – would keep the team in games more often than not with real upside to the first three spots in the rotation. The roster carries a not insubtantial amount of risk, principally in the form of the injury or underperformance potential of some of the players, but this is true of every club. Defensively, if Drew continued to recover from his injury, the club would feature average to above average defenders at second, short, third, center and right field, while catcher, first and left field would be problem areas. Most importantly, all of the above could be accomplished while avoiding the kinds of long term deals that the club has had a mixed at best track record with. This is important not only because of the risk inherent to longer term deals, but also because the club does not want major commitments to block the next wave of prospects likely to arrive in Fenway Park. One outfield spot remains open in the event that Kalish returns to form or one of Jackie Bradley Jr and Bryce Brentz pulls a Middlebrooks. Three outfield spots open the following season, and shortstop will be available for the best performer out of Bogaerts, Iglesias or Marrero. As for the starting pitching candidates like Barnes, De La Rosa or Webster, injuries will create openings for the would be starters: they always do. As none of the above is particularly likely to occur, however, it will be interesting to see what the actual plan of attack is from the front office. We just got our asses kicked, pal. The 2012 Red Sox were 69-93. Anyone see that coming? Admittedly the “just” is a bit of a leap, as the end of the season is a month plus behind us, but you wouldn’t know it from this space: the last post here was September 2nd. And a few things have happened in between now and then. Herewith is a brief examination of a few of said things. There was no comment here on Valentine’s exit because, really, what commentary was necessary? While the talk show hosts will claim that everyone is stunned that Valentine didn’t work out, that’s not accurate. It was obvious to a great many people – including yours truly – that Bobby V was a bad fit for this job even before he’d really gotten to work. The only real surprise was how swift and total his failure was. All of the anticipated flaws – his inability to relate to players, his need to communicate via the media, his BobbyV-ness – were on permanent display last year, which will presumably be the last time we’ll see them in a dugout. As was said in this space in April, Valentine was nothing more or less than a classic management blunder: an emotion driven over-rotation away from a manager perceived to be a problem, in spite of eight years of unprecedented success. The only good news about the damage he did during his tenure is that it was so extensive that bringing him back was completely untenable. And so, mercifully, he’s gone. I have no idea whether Farrell is going to be a good manager: Keith Law, at one point, implied that the Red Sox had dodged a bullet after watching Farrell throw away a game for the Blue Jays. But he’s got one very important thing going for him: he’s not Bobby Valentine. Given the higher quality of the managerial candidates this time around, it is a bit perplexing that Cherington and company felt compelled to pay the Blue Jay ransom of Mike Aviles (and don’t even get me started on the rumor that Bailey was the other potential trade item). Aviles is quite clearly a player with significant limitations – his liftime OBP is .308, and he missed that by 20 points last season – but in a market bereft of legitimate shortstops, he was an asset with value. His subtraction leaves Iglesias as the only realistic starting shortstop candidate, a season after ZIPS projected him to put up an Ordonez-an line of 251/.289/.311 and he underperformed that, hitting .118/.200/.191 in 77 at bats. But with Cherington’s job reportedly on the line in the wake of last season’s disastrous finish and two deals that blew up in his face (the Reddick and Lowrie trades), paying Toronto’s premium for an asset they themselves appeared to have mixed impressions of apparently became more palatable. Ausmus et al may have dazzled in their interviews, but all ultimately lacked what Farrell offered: familiarity. Having worked with him extensively for years, they knew who Farrell was. With the would be contenders, they would be guessing. So while I’m ultimately ambivalent about Farrell’s prospects, it is simutaneously difficult to fault the process. And at the very worst, he’s not Bobby V.
The one thing that everyone agrees on with respect to the upcoming season is that the starting rotation is, as ever, the key. And the best improvements that Red Sox can make in that area aren’t likely to be in external additions – although Cherington has said those will be necessary – but in restoring their pitchers under contract to past levels of performance. Farrell’s clearly expected to play a role in that, having been the pitching coach when both Buchholz and Lester enjoyed their finest seasons. But ultimately, the responsibility ultimately will be the new pitching coach’s. It’s difficult to assess new hire Juan Nieves in that regard, because he’s been the bullpen coach for the White Sox. But the White Sox join the Cardinals as one of the clubs commonly regarded to have the ability to repair and restore pitchers on the decline. So if the Red Sox believe a little of Cooper rubbed off on Nieves during his tenure with the White Sox, this decision has my full approval. This exchange on WEEI last week summed up at once my frustration with sports radio in general and fan ignorance of contracts specifically. sports radio caller: this ortiz signing is awful. it’s just too much risk: the achilles injury changes everything. sports radio host: ok, but let me ask you: if he hit free agency and the rangers signed him for 2 years @ 24M, would you crush the red sox next august for not signing him? sports radio caller: [long pause] yeah, well, that’s why i’m just a fan. Besides trying to have it both ways, this misreads both the market and Ortiz’ actual value. According to Fangraphs, Ortiz was worth $13.3M in 2012, playing 90 games. His contract for the next two years is that times two. Tough to fault the front office for the move. In a perfect world, of course, the Red Sox would go year to year. And writers have (comically) implied that if Theo were still here, Ortiz would not be handed this two year deal. They base this assertion on the fact that Ortiz has been year to year for a few years now. This conveniently ignores both the realities of the market – there was a much greater scarcity of power threats on this year’s market relative to his previous periods of free agency – as well as his actual performance. 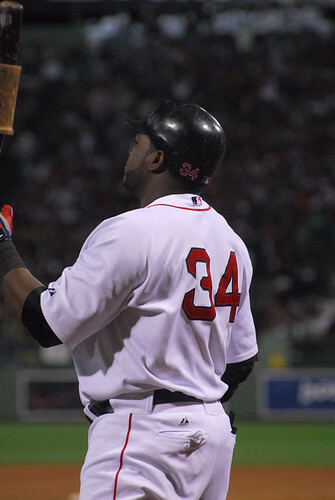 It was natural to be cautious with Ortiz in 2009 or 2010, because he was not far removed from a period in which it looked like his career was nearly over. In 2012, Ortiz is coming off of two consecutive years of putting up an OPS better than 900. There are risks to this deal, as with every deal, but they are more than acceptable – particularly given the short duration of the contract. This fits with the new Red Sox mantra: pay the premium for contracts of shorter duration. Kuroda will be an interesting next test of this philosophy. The Red Sox need a starting pitcher, first baseman, two corner outfielders and perhaps a shortstop this winter. So naturally, their first move of the winter was … to sign a catcher, David Ross. But as he explains, it’s a deal that actually makes a great deal of sense. Although the speculation by Ken Rosenthal and others in the wake of the signing was that this meant that Lavarnway was headed back to Pawtucket, count me among those who believe that this is a prelude to a trade of one of our two catchers. And if pressed on which would be headed elsewhere, my bet would be on a transaction involving Salty. Neither Lavarnway nor Ross could reasonably expect to approximate Saltalamacchia’s power – 25 home runs last year – but both would project to be an upgrade on one of the biggest problems our offense had last year: getting on base. The Red Sox were 22nd in OBP in 2012, one season after being first. Salty’s lifetime OBP is .302, and in 2012 he was at .288. Ross’ lifetime OBP is .324 (.321 in 2012), and while Lavarnway was abysmal in 2012 at .211, Assistant GM Mike Hazen was stressing this week on WEEI’s excellent weekly Hot Stove show that it was important for the club to trust its player development personnel and the player’s minor league performance. Lavarnway’s OBP over five season in the minors? .376. Add in the fact that Ross was apparently told he would be “more than a backup,” and the tea leaves seem to forecase the end of the Salty era in Boston. Potential trading partners would include the Mets and White Sox, and theoretically even the Braves who just lost Ross and have McCann coming off of surgery. All in all, what seems initially a surprising move is actually more likely to be the Red Sox creating an artificial surplus in an area of league need at a reasonable cost from which to deal for required assets. Which seems like sound strategy here. The Boston Globe’s senior baseball writer Nick Cafardo, you might recall, suggested in October that the Red Sox should have their “hearts set on [Bobby] Valentine.” How does he feel today, with even aggressively neutral parties like WEEI’s Alex Speier now calling for the dismissal of Boston’s manager? What is Cafardo’s opinion in the wake of Valentine’s showing up at the ballpark less than three hours before a start, his “mistake” that put cast-off Scott Podsednik in the three hole, an embarrassing 20-2 loss, his flippant “who cares?” response to a reporters query, and – most problematically – his apparent vendetta against Alfredo Aceves that led to that pitcher throwing 143 pitches over four appearances in five days and post-rehabilitation Rich Hill warming up for three innings? What does Nick Cafardo think in light of these developments? Ownership is fair-minded and realizes that this mess was not Valentine’s fault. Most managers get more than one clean year to show what they can do. While it’s absolutely true that the club’s record this season is not Valentine’s fault any more than last September’s was Francona’s, Cafardo’s seeming inability to acknowledge Valentine’s mistakes is appalling, and if I worked for the Boston Globe, professionally embarrasing. This is a theoretically senior writer of their staff so hopelessly compromised by his bias for the manager – and against the players, it must be said – that he is fundamentally unable to do his job. The outfield trade market will include Justin Upton and B.J. Upton, and Nick Swisher is one of the intriguing possibilities as a free agent. B.J. Upton is actually a free agent this offseason. Mike Aviles, SS, Red Sox — He could buy himself another season with the Red Sox with the jury still out on Jose Iglesias and Xander Bogaerts still a couple of years away. The Sox were correct in their assessment that Aviles would give them what Marco Scutaro gave them a year ago. It was surprising that two teams in need of shortstops in late August — the A’s and Cardinals — didn’t pay a price to obtain Aviles. Two things. First, this is probably why the A’s, at least, declined to trade for Aviles. In two starts since coming off the DL, Anderson is 1-0 striking out 11 and walking 2 over 12 innings giving up a single earned run in the process. Even while the A’s couldn’t be certain what he would give them coming off of injury, Anderson for Aviles would be the definition of an overpay. Assuming that the price was similarly high for the Cardinals, it isn’t hard at all to imagine why they declined to trade for the player. Second, concerning the assertion that Aviles gave them what Scutaro did a year prior, defensively this is more or less the case. Credit the Red Sox for accurately projecting that Aviles was a reasonable substitute for the traded Scutaro in the field. Offensively, however, the players are not close. Aviles has more power than Scutaro of 2011 – .143 ISO to .124 – but his inability to get on base has hurt the club all year. Scutaro’s OBP last season was .358; Aviles at present is .286. If we look at their total offensive contributions via wOBA, Scutaro of 2011 destroys the Aviles of 2012, .343 to .296. There’s a reason that the Red Sox of 2012 are ninth in OBP, and while it’s not all on Aviles, he’s a big part of it. Which is why I’m not surprised he wasn’t traded for that price and why I would be surprised if the Sox give him another year at short. But bigger picture, I remain unable to understand why a paper of the Globe’s stature believes that Nick Cafardo is the best it can do.